Settlers set down four caravans north of the settlement of Kiryat Arba, near Hebron, yesterday as part of the construction of a new industrial site called “Mevaser.” Officials confirmed to the Jerusalem Post that the Civil Administration had approved the construction of the structures, meaning that it had already been approved by the Defense Minister and the Prime Minister above him. Peace Now: This is Prime Minister Netanyahu’s gift to U.S. President Trump on the day of their meeting. For years, Israeli governments have refrained from establishing new settlements, especially in as sensitive a place as Hebron, but in recent months the Netanyahu government has permitted settlement activity without restraint and has taken steps that undermine the chances of a two-state solution. The new settlement near Hebron is liable to cause significant harm to the lives of dozens of Palestinian families who live nearby who are expected to suffer new security arrangements that will restrict their freedom of movement and harm the daily fabric of their lives. 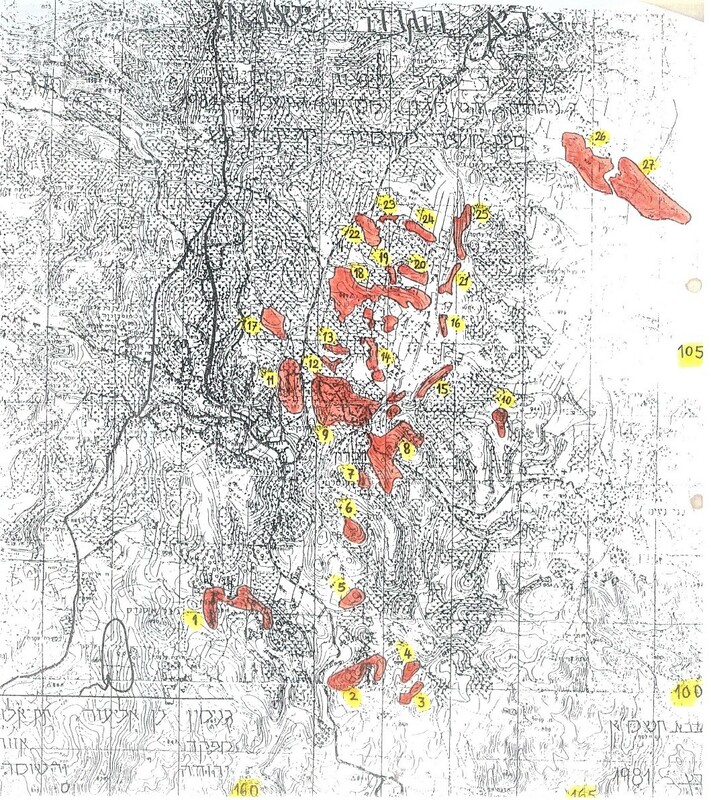 In 1982, an area of some 70 dunams was declared adjacent to the Beit ‘Enun neighborhood in Hebron as “state land.” In 1988, the Higher Planning Committee approved Plan No. 510/6 for the establishment of an industrial zone in the area, and yesterday the first four caravans were set down there. 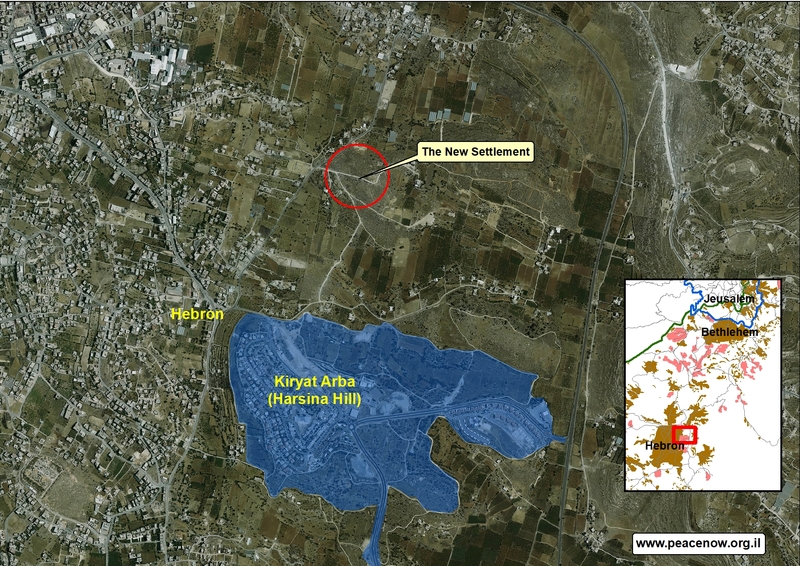 The new settlement industrial zone is located 800 meters north of the fence of the Kiryat Arba settlement and inside a Palestinian residential area, without any territorial link between it and Kiryat Arba, save for one road. Watch a video report of the establishment of the caravans from the Alquds Media Center – here. In the 1980s, the settlement of Kiryat Arba was designated as a jurisdiction for nearly 4,100 dunams (1,013 acres) in 13 separate and remote areas without territorial contiguity and located in between Palestinian homes. Within the jurisdiction, a number of construction plans were approved in the 1980s, including the plan for the industrial zone at the Mevaser site. The Kiryat Arba Local Council has thus taken advantage of this old plan, based on the reality and policy from 30 years ago, in order to establish a new settlement under entirely different conditions in the present.